Jet Airways, one of India's leading international airlines, offers direct flights to 52 destinations across the nation. Emirates Skywards members can earn and spend Miles on travel with both Jet Airways and JetKonnect within India. Book nowBook now with Jet AirwaysOpens an external website in a new tab. Make the most of travel within India by earning Miles that you can spend on domestic flights. Please quote your membership number when booking your flight, and share your Emirates Skywards details at check-in. Members who booked reward tickets before 31 December 2017, can utilise their reward ticket as per existing ticket rules. Those members who booked reward tickets from 1 January 2018, will have to complete their travel by 31 March 2018, and no changes on such redemption tickets will be allowed. Members who have booked tickets before 31 December 2017, can claim Skywards Miles within 6 months from the date of travel. Members who booked tickets from 1 January 2018 onwards, can claim Skywards Miles within 6 months from the date of travel, so long as their flights have been completed on or before 31 March 2018. 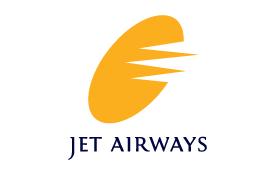 Miles can only be earned and spent on eligible domestic flights marketed and operated by Jet Airways, and flights operated under the brand name JetKonnect (Jet Airways). All rewards are for direct return flights only. Where a direct flight is not available, two or more rewards may be required in order to redeem Miles.